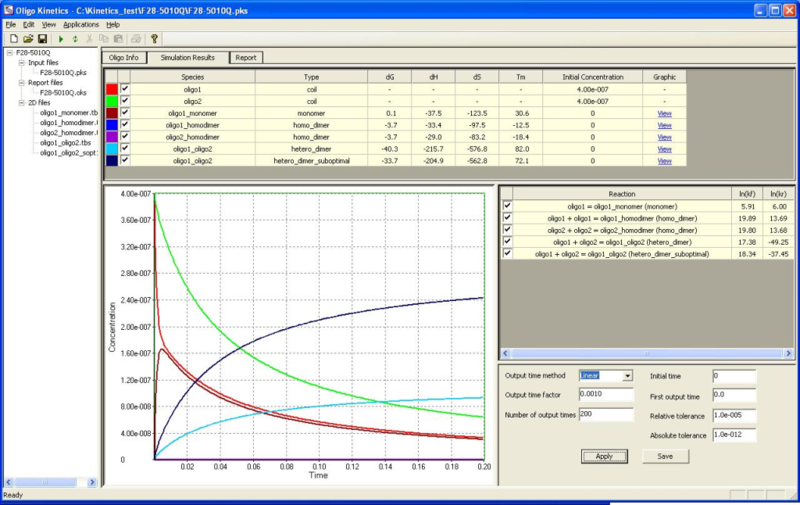 DNAS Simulator :is the experiment simulation engine for our cloud applications. Its proprietary folding algorithms developed by DNAS accurately predict the behavior and interactions between oligos and targets under your experimental conditions. This allows the cloud software to predict and avoid undesirable outcomes such as unwanted secondary structure or oligo to oligo mishybridization, which is vital for selecting the best solutions. 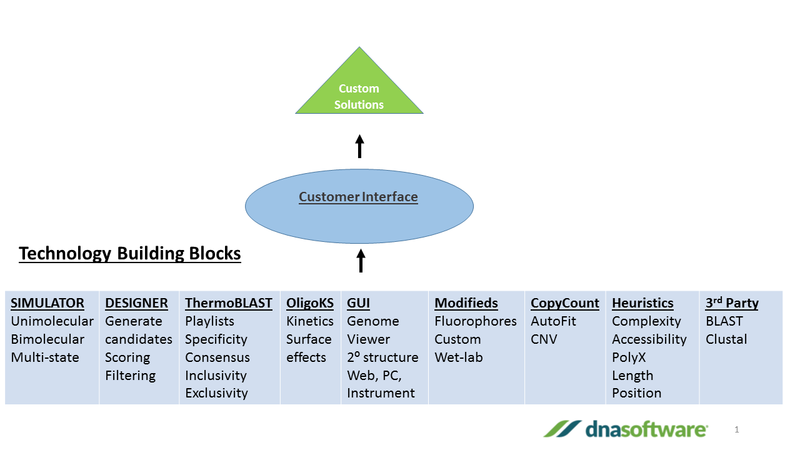 Modifieds™: DNA Software™ has assembled the world’s most comprehensive thermodynamic database of modified nucleotides through a series of NIH grants and has incorporated these parameters into our simulation and design of oligos. ThermoBLAST™: scans oligos across collection of genomes to detect all false positive hybridizations and amplicons, resulting in better specificity of assays.